Gelatos creamy pigment can be used with multiple watercolor techniques to create fun Mixed Media effects on paper and canvas. 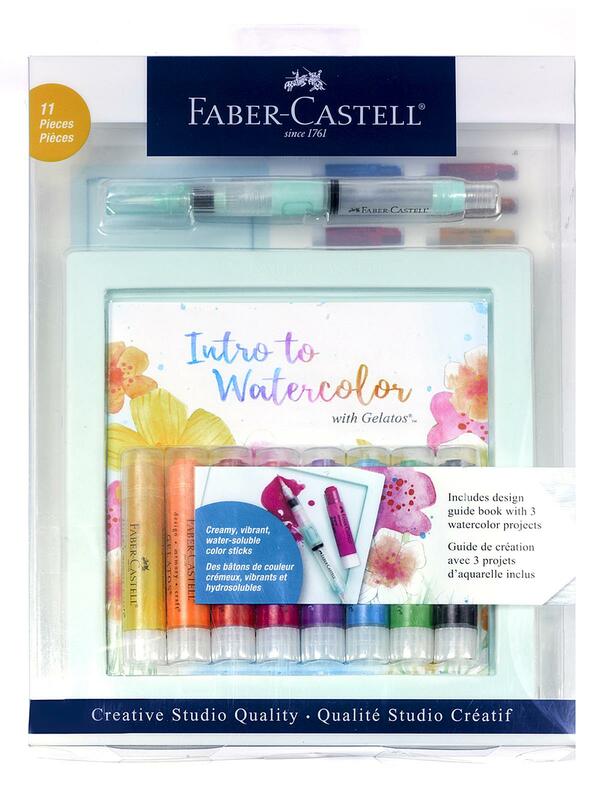 The 14-page guide shows you how to make floral and gemstone designs using the Faber-Castell Deluxe Water Brush and a silicone mixing tray. Included in this kit are 8 Gelato sticks in colors: Red Cherry, Mango, Banana, Lime, Snow Cone, Raspberry, Bubblegum and Black Licorice.